This sumptuous model sophisticated in every detail offers not only huge space, but also unique functional dispositions. 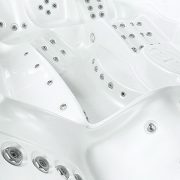 It is equipped with delicate anatomical details oriented to private space of each massage zone. The central part of its bath, which is as large as a small home swimming pool, offers a wide range of applications. This model provides enough space up to 8 people. It can be used not only for relaxation, but also for leisure and fun. Its unique dispositions were fitted into delicate lines and highly functional design. 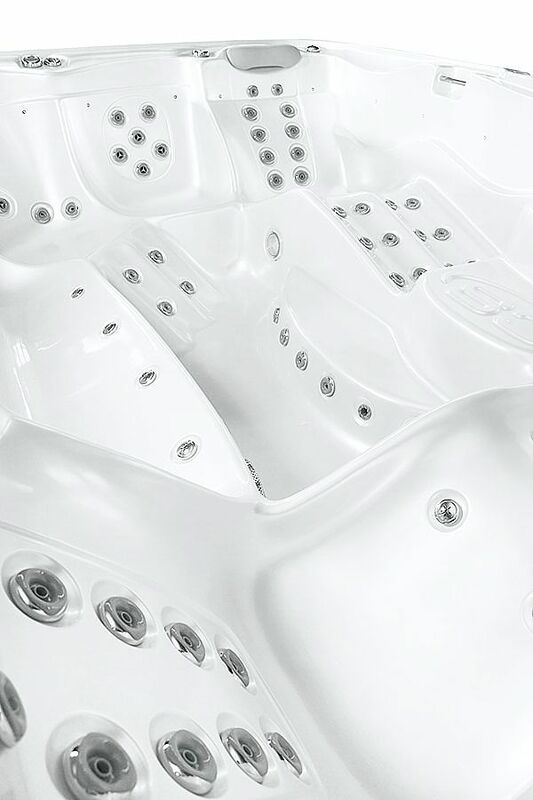 This sumptuous high-volume model combines unique massage dispositions with giant swimming pool. Unrivalled, highly effective water massage system provides a perfect relaxation experience for everyone. The MicroSilk system saturates water bath with billions of air micro bubbles that oxygenate and hydrate human body. The natural power of MicroSilk is related to its antiseptic and healing effects. The MicroSilk technology can be used in Gladius. 91 pcs Ultra Jets stainless P.H.C.